The casts of Zack Snyder’s Batman V Superman: Dawn Of Justice and David Ayer’s Suicide Squad met for a group photo at the San Diego Comic Con. The cast of the Snyder film are taking the ‘we’re the adults’ approach, while Ayer’s gang are care free and loose. It’s a shame Jared Leto’s Joker wasn’t there. He seems to be the outsider in all these photo sessions. 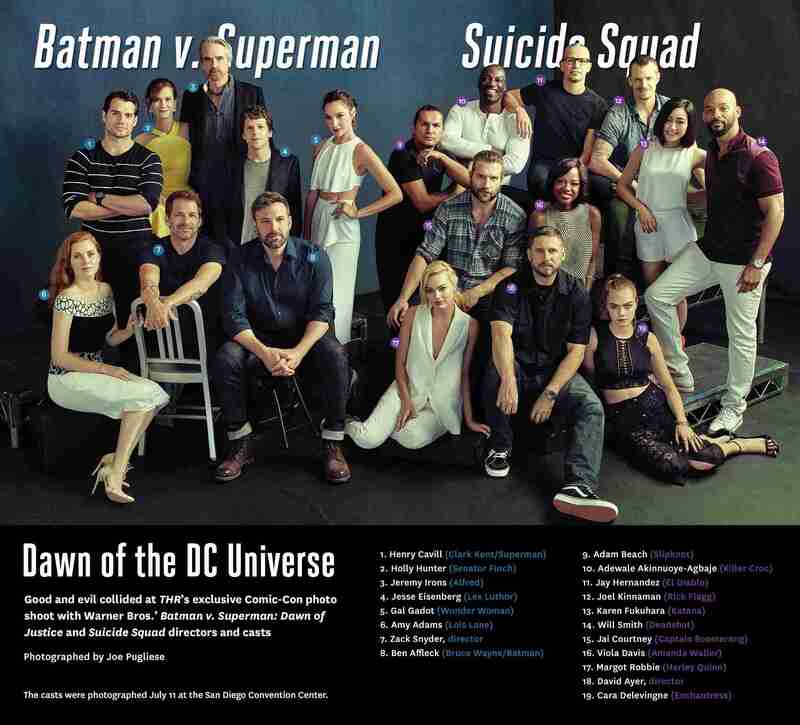 It’s an impressive line-up for the DC Comics Cinematic Universe – click on the image below for a big version and a cast rundown. Batman V Superman: Dawn Of Justice opens in March 2016, while Suicide Squad hits screens in August 2016.